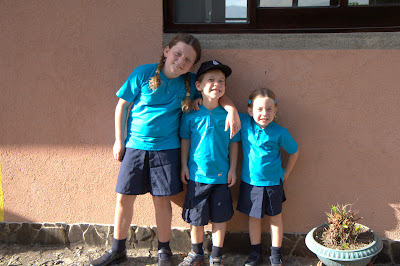 The kids started school yesterday. 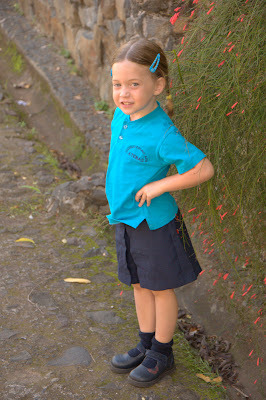 The school year differs from the standard North American school year; the Costa Rican school year starts in February and ends in early to mid December with two major school holiday periods during Easter (Semana Santa) and another one during July. 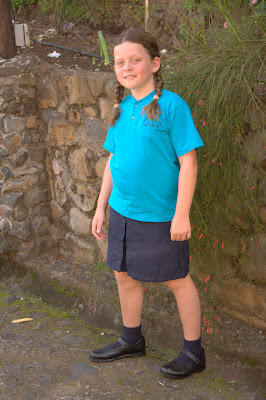 The return to school this week is basically returning from a mid-year break (like North American kids returning after winter vacation) and therefore our kids are starting at a new school at the start of the second half of their year. We are very sensitive to the fact that this is not only a new school for our children with all new faces but also a completely new culture and language. Heck, I still can’t figure out what the lady at the cash register in the grocery store is asking me… imagine sitting in a classroom for a whole day struggling with that kind of confusion? It must be exhausting! 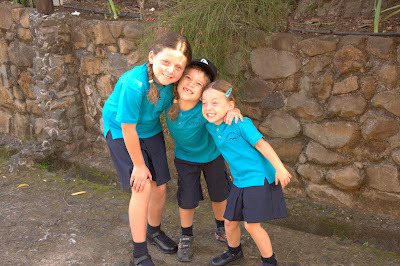 We are very happy so far with the choice of school. All of the teachers seem extremely nice and the general vibe is great. In regards to the academics, the level of math for Léah is already higher than in BC (the Canadian public school system, at least in British Columbia, really has to pick it up a notch or two). We know that there will be ups and downs for the kids over the next while but we are hoping for the best. 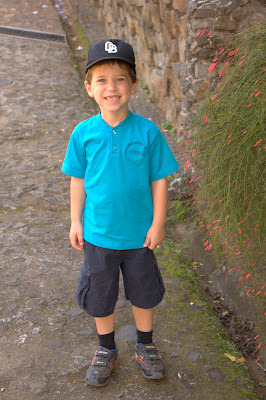 By the way, “Escuela Colina Azul” means “Blue Hill School” which explains the choice of color for the uniforms.